Kirito awakens in a vast forest with no memory of how he got there, but as he explores this new world he begins to remember a time long past and a girl, Alice, who he should have never forgotten. 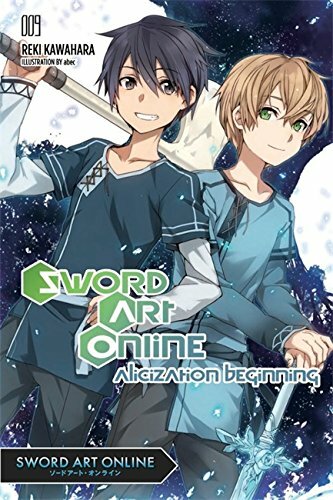 The Sword Art Online saga continues past the anime in the first volume of the Alicization Arc! It’s been two years since Kirito and Asuna cleared the death-game Sword Art Online and returned to the real world. 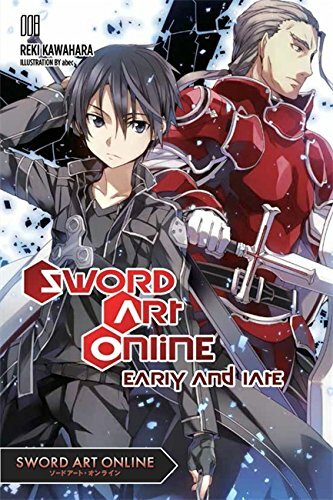 Since then, Kirito ventured into Gun Gale Online to put an end to a string of killings, and now he continues to work on testing new forms of virtual reality systems alongside adventuring with his friends in the game Alfheim Online. After a series of events he can’t seem to remember, Kirito wakes up in a vast forest more real than he thought any virtual reality game could be, and as he attempts to get his bearings in this new “Underworld” he quickly encounters a young boy, Eugeo, who is more lifelike than any simple NPC should be. In the process, Kirito begins to recall impossible memories of a childhood that never should have existed and begins to remember a girl, Alice, who might be the key to it all. One of the interesting things about Sword Art Online thus far has been the way that the series has switched up its setting to tell a variety of different types of stories, and this has given each arc a fresh feel even if not every story has fully hit the mark. The first volume of the Alicization Arc does exactly this in eschewing the more “gamey” aspects of the previous arcs in favour of a more fantasy-based setting, and this is immediately driven home in the impressive prologue delivered here. This lengthy chapter sees us getting dropped right into the childhood story of Kirito, Eugeo, and Alice with no warning, and I thought this served as an interesting tale which sets up the rest of the volume extremely well. A captivating sense of adventure is conveyed here, and combined with the strong way the characters were introduced, I definitely felt like this was the most complete introduction to a setting that we’ve had so far in this series by quite a bit. 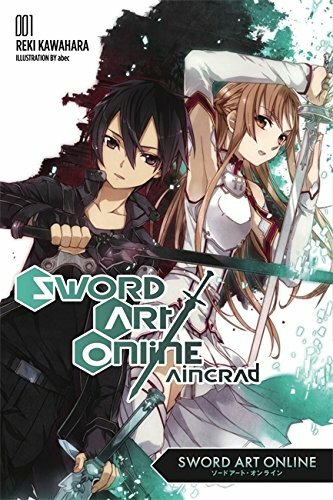 The immediate shift away from the world we’ve become accustomed to in this series was jarring, but in a good way – we naturally expect the story to immediately pick up on the Sword Art Online story as we know it so far, and I found that this created a sense of mystery throughout the prologue was really fun. We get some pretty cool world building here in a way that avoided too much exposition, and I definitely found myself becoming invested in the story of Kirito, Eugeo, and Alice because of the way that their longing for adventure was set up against the backdrop of their small town. We learn a lot about the workings of this world and the motivations of the characters through their discussions as they plan out their little quest, and I thought that this chapter was a fun and emotionally investing ride because of this combination. This chapter really succeeded at being the catalyst for everything that followed afterward, and it was definitely a strong way to start off this story. The world of Rulid village is wonderfully explored in the prologue, and this pays off in a big way throughout the rest of the volume when Kirito “returns” after waking up in the Underworld. Much of the story hinges around Kirito trying to figure out exactly what is going on in this world, and I liked that much of this built upon the backstory that we saw during the prologue. For example, Eugeo’s longing to be a swordsman was well-established during the prologue, and this was built upon in a subtle way when we later see his angst at being stuck cutting down the Gigas Cedar years later. I thought that this gave both Eugeo as well as the rest of the world a captivating sense of history particularly when we see the effect that the events of the prologue have had in the intervening years, and this gave the setting a unique emotional heft that I was able to really buy into. There’s a real sense of depth to the setting thanks to the lore inherent in the way that the villagers go about their lives, and I really liked how well depicted it all was without feeling gratuitous. 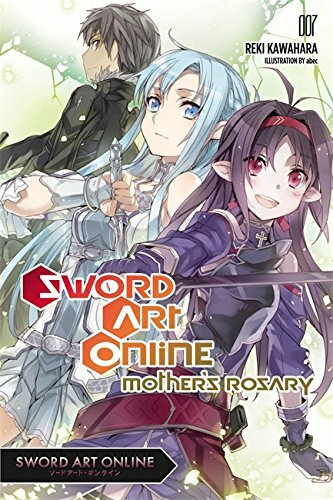 The bulk of this volume concerns Kirito’s adventure as he attempts to figure out the nature of his predicament upon waking up in Rulid village, and this in itself serves as an entertaining introduction to this arc. Much of my enjoyment came from simply seeing Kirito discover more about this world in tandem with Eugeo, and this story was definitely at its strongest when it engaged with the “history” developed in the prologue chapter concerning Alice. Eugeo immediately becomes one of the strongest characters in the series because of how well his motivations are portrayed as noted above, and this made it exciting to see him and Kirito spring into action for a rescue mission of their own in this volume’s climactic sequence. There isn’t nearly as much action in this volume as we are accustomed to because of all of the emphasis on fleshing out this setting, and this results in the volume being a bit of a slower and more methodical read which could impact the enjoyment of readers accustomed to the more action-packed prior volumes. However, the one action scene that we do get is satisfying because of the way that it conveys the brutality of this world in a way that raises the stakes in a meaningful way, and this definitely bodes well for this arc going forward. This scene, along with the events that follow it, built strongly upon the world developed throughout this volume to create a satisfying conclusion that definitely made me eager to see what will come next. While much of my enjoyment of this volume came from the way that it sets up the characters and the world in a rich way, there are a few glaring overindulgences that chop up the pacing significantly. The time in between the initial prologue and Kirito’s later adventure in the underworld is bridged by a segment in the real world between Kirito, Asuna, and Sinon that links in the previous Sword Art Online stories. While I’m generally interested in seeing the progression of the overarching “main” Sword Art Online story, this segment becomes quite a slog with many pages devoted to a tedious explanation of Kirito’s virtual reality work. In fairness, this knowledge is relevant to Kirito’s time in the Underworld, but the painstakingly technical explanation was really a bit much to deal with. This also seeped into Kirito’s time in the Underworld, and although Kawahara goes to great lengths to set up the theoretical basis for this new virtual reality, I generally felt that it added little of interest to the story. This volume was much, much better when it centered on the setting of the Underworld itself rather than the uninteresting technical musings on “fluctlight” and such, and this all took up a little too much of the focus for my taste. Sword Art Online Vol. 9 is exciting because of the way that it creates an engaging and rich world for Kirito’s later adventure, and I really found myself wrapped up in the way that this volume created a strong sense of emotional history to draw upon in setting up its story. The prologue following Kirito, Alice, and Eugeo was a lot of fun to read, and this volume is at its best when it fully focuses on the world at hand to centre its story as Kirito explores this new world. It’s a more methodical read than some of the previous novels, but at its end I was really excited to see where Kirito and Eugeo’s quest will take them next, and the fact that I genuinely want to see how this world develops going forward is a strong testament to this volume’s success. Sword Art Online Vol. 9: Alicization Beginning was published by Yen Press on December 20th, 2016. Authored by Reki Kawahara, translated by Stephen Paul, and illustrated by ABEC, the series is currently ongoing and published by ASCII Mediaworks’ Dengeki Bunko imprint.